Nuendo 4, General Sequencer from Steinberg in the Nuendo series. 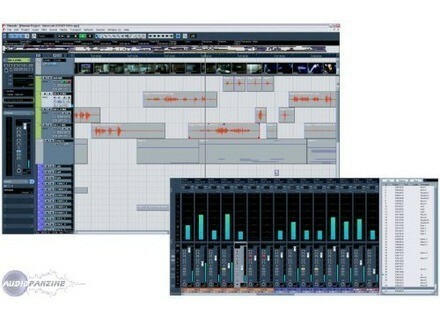 Steinberg announced a new update to its Nuendo 4 Advanced Audio and Post Production System. Nuendo 4.2 and NEK 4.2 are available now as a download for all registered customers from the Steinberg website. Nuendo 4.2 extends the support for external hardware. The new update offers full support for all Advanced Integration functionality with the new MR816 CSX and MR816 X Advanced Integration DSP Studio hardware by Steinberg. Among the features available with Nuendo are full user interface integration, True Integrated Monitoring™ and the use of VST3 plug-ins as DSP FX in the Nuendo mixer. Steinberg's CC121 Advanced Integration Controller is also fully supported, integrating fully with Nuendo. Nuendo 4.2 also offers enhanced support for Yamaha MOTIF XS series and the KX USB Music Studio series are now even more tightly integrated than before. Nuendo 4.2.2 includes a range of improvements to enhance stability, as well as several workflow enhancements. 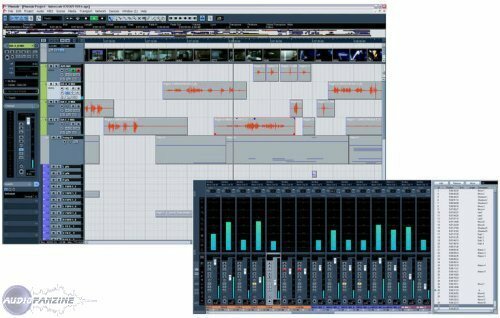 These include new key commands for the MediaBay sound management system, new synchronization options and a range of additional minor enhancements. Nuendo 4.2 also includes support for VST Sound™, a new and improved universal media management format. VST Sound™ is a fundamental part of VST3 and integrates media such as audio and video files as well as plug-in and track presets directly into the Nuendo MediaBay. The Nuendo Expansion Kit also receives additional content with the new update, including the new Yamaha S90ES Grand Piano. Vrsonic HeadSpace Room VRSonic has announced the release of HeadSpace Room, a new reverb VST plug-in that uses physical modeling technology to simulate room reverberation. Free E-MU Proteus VX download! E-mu has announced that the Proteus VX is now freeware! E-mu distributes it directly for free now on their website. Digital Redux A Class Series: Guitar Legend Digital Redux presents Guitar Legend, a new collection of samples in the brand's A Class Series.